Car accidents occur in a split second – but their effects can last a lifetime. In a moment, your entire life can be turned upside down. You may be left wondering how you will recover from your injuries, who will pay your medical expenses, and when you will be able to work again. Unfortunately, the key to obtaining the money you need to recover depends largely on establishing fault after a car accident. While this may seem like a simple task, nothing could be farther from the truth. Car accidents are not always cut and dry and establishing fault can be difficult. There may be multiple parties responsible for your injuries or you may share some of the blame for the crash yourself. You and the other driver may differ in how you remember the accident occurring or the police report may contain inaccuracies that jeopardize your claim. As you can see, the complexities of a car crash can make establishing fault difficult. Without the help of an experienced Arkansas car accident attorney, you could end up paying for a crash that wasn’t your fault. Call 911 and obtain police report – the first thing you should do is to call 911, to alert the police and emergency crews of your accident. This will ensure that you get a police report detailing the accident and it will also ensure that you and your passengers receive medical attention promptly. When speaking to the police and to the other driver, be sure not to admit fault. Even as simple “I’m sorry” can be taken out of context to prove that you admitted to causing the crash. Take pictures of license plate number – this is one of the first things you should do after an accident, as long as you are not injured. If the other driver were to flee the scene of the crash before the police arrived, you would have visual proof as to who caused your accident. This can prove to be invaluable. Collect other driver’s information – collect the other driver’s insurance information, driver’s license number, name, and address. This can help you tremendously when you are filing an injury claim. Take pictures of accident scene – if you are uninjured, snap pictures of the accident scene and any details that you think would help your case. This could include broken signs, broken traffic signals, overgrown shrubs, skid marks, and road debris. Take pictures of crash damage – you should also take pictures of the cars and their relationship to each other on the road, as well as any damage the cars sustained. Be sure to take close up pictures of the damage, as well as pictures from far away. Collect eyewitness information – if there are any eyewitnesses, be sure to gather their information. Write down their names, their addresses, and their phone numbers so your attorney can talk to them if more information is required. Contact an attorney – call an attorney as soon as you are able. The sooner your attorney is on your case, the faster you can collect the money you deserve. Arkansas is also one of just six states that has “add-on” no fault laws. These laws allow policyholders to purchase and use their own Personal Injury Protection insurance to pay for medical expenses, etc. no matter who was at fault for the accident. It also allows them to file a personal injury lawsuit against the “at-fault” driver without restriction. What is No Doubt Liability? Rear end collisions – the car following behind you must leave enough space to stop even in emergency situations. Even if you slam on your brakes, the driver behind you must be able to stop safely. If they cannot, then they will be at fault for the accident. DUI accidents – the drunk driver will almost always be responsible for the accident. Even if you are found to be partly to blame for the crash, the DUI driver will bear the majority of the burden in most cases. In order to establish fault, you must show that the other driver was negligent. The theory of negligence is that anyone who acts in a careless way or causes injury will be legally liable for any resulting harm. In order to win a negligence claim and show fault, your attorney must prove that the other driver owed you a legal duty and they breached this duty by driving recklessly or carelessly. They must also establish that the resulting breach directly caused injuries and damages to you and/or your property. Comparative Negligence – this occurs when you are partly responsible for the injuries to yourself and your property. If you are found to be partly to blame for the crash, you may be required to pay a percentage of the damages. Pure Comparative Negligence – the driver’s damages are totaled and effectively reduced to reflect their portion of the crash. For instance, if you were awarded $100,000 after an accident, but found to be 10% responsible for the crash, then you would only receive $90,000 of that award. Modified Comparative Negligence – the driver would not recover any damages if they’re found to be at least 50% or more responsible for the crash. Arkansas courts use a modified comparative fault rule. Contributory Negligence – this occurs when you caused your own injuries but cannot collect any damages. Most states are doing away with this type of negligence. Because your damages will be reduced by the amount you are determined to be “at fault,” the insurance company will try to pin some of the blame on you. After all, reducing the amount they must pay is their primary goal. They may claim that you were speeding at the time of the crash or that you were operating recklessly as well. This is an important part of the legal process and why it is so important to have a car accident attorney on your side fighting for you during this time. Single car accidents – the majority of single car accidents are the fault of the single car driver. Police reports often assign blame quickly and without a thorough investigation. But there are times when other drivers caused your single car accident or when poorly maintained roads or traffic lights led to your crash. If you believe that your single car accident was someone else’s fault, your attorney can lead a full investigation into the matter to clearly establish who is to blame. Parked car accidents – parked car accidents are always the fault of the driver who was moving into traffic. When both cars are moving into traffic, determining fault can be trickier. Examining the damage to the cars and gathering eyewitness accounts become critical. Multi-car accidents – multi-car accidents need to be investigated closely to determine who is at fault. Police reports are critical after a multi-car crash because the police are trained to examine crash damage and take witness statements into account when assessing blame. However, they are not infallible. An experienced attorney can examine the crash site, the damage to the vehicle, and perform a more extensive investigation in order to determine fault. In many cases, accident reconstruction experts may need to be called in order to fully establish the cause of the crash and who is to blame. Call 911 –Even if you are to blame, it is the law to report any accident that causes damage to property or injury to another person. Failure to report an accident could be seen as leaving the scene of the crime. Avoid Admitting Blame –Even if you believe the accident was your fault, never say “I’m sorry” or admit to causing the accident. After a crash, your adrenaline may be running high and you may not be considering all the factors that led to the accident. Perhaps you didn’t see the other driver, but perhaps they were speeding or driving drunk. Let the police investigate and avoid admitting to causing the crash. Talk to the Police – You must answer all police questions but avoid saying anything incriminating. Do be honest in your recount of the accident, however. Be Polite – Always be polite when dealing with the other driver and with police after an accident. Avoid aggressive behavior and if the other driver gets aggressive, seek help. Collect Evidence – If you believe that there were contributing factors to your accident, be sure to collect the evidence. Take pictures of any overgrown shrubs or broken signs. Take pictures of crash damage and of the scene of the accident. These could help your attorney show that you are not completely to blame for the accident. Notify Your Insurance Company – You must notify your insurance company when you are involved in an accident. They can attempt to negotiate with the other driver’s insurance company to have their car repaired and their medical expenses reimbursed. 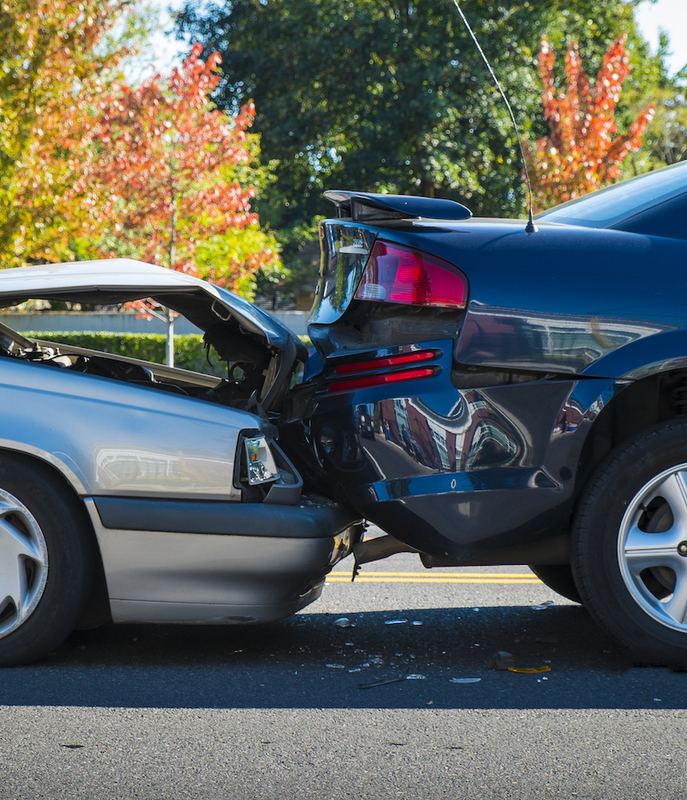 Determining fault after a car accident isn’t always straightforward. You could end up paying part of the accident costs – even when you did nothing wrong! That’s why you need an experienced Arkansas car accident lawyer on your side from the start. With four offices in Arkansas—Little Rock, Fayetteville, Conway, and Hot Springs—our Arkansas car accident lawyers are easily accessible from the moment you are injured. Contact Rainwater, Holt & Sexton Injury Lawyers today. Fill out a free contact request form, which only takes a minute, or simply dial (800) 767-4815 and tell us your story.